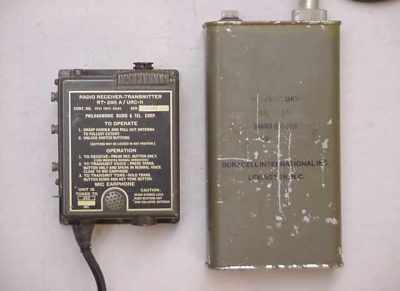 is an American SAR -Radio, used by the Air Force and the Navy. It is the first SAR hybrid radio, i.e. it uses transistors and tubes together (see picture gallery). Tubes were in sockets because they wore out. A tube tester told you when a tube was worn out. Transistors replaced tubes. Therefore, they needed to be in sockets, and so obviously they needed a tester to test transistors..... except that you didn't really need sockets or a tester because transistors do not generally wear out. The joke was on the taxpayers.